I met my friend Joan at the Arclight Cinema cafe for a bite before going in to see "Her", the latest film by Spike Jonze which he wrote and directed. We both ordered the seared Ahi, which was perfection, caught up with each others lives for an hour and then went into the theater. 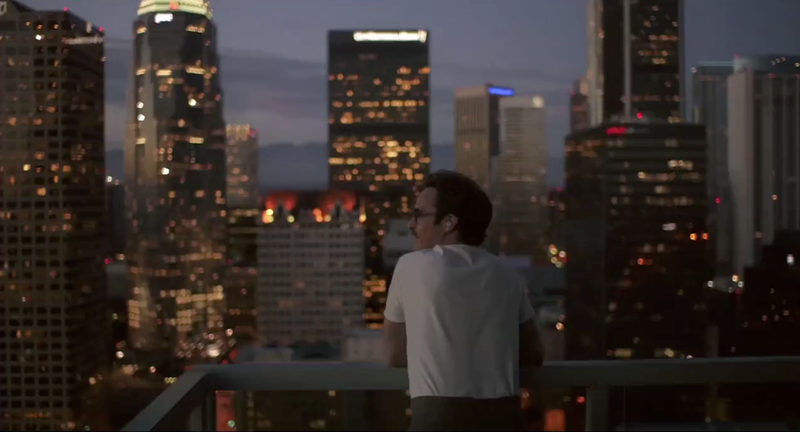 "Her" is a beautiful, romantic comedy set in a futuristic Los Angeles. The star is the uber talented Joaquin Phoenix with the voice of her, a computer operating system named Samantha, played by Scarlett Johansson. Although the name Samantha might conjur the blond in Bewitch, a 70's TV series, I believe the name is due to the first actress that embodied the voice Samantha Morton. Upon the start of the film, even by looking at the poster, one is struck by the bold use of color. In an interview I saw with Spike Jonze he said he based the colors on Jamba Juice. It was a great choice as the intensity of the color adds a subtle tone to the matrix that these humans finds themselves living in yet also evokes warmth. When I watch a movie with Greg he often comments on how the visual intelligence, through color shapes, works to evoke moods and story points. The production designer for "Her" is K.K.Barrett, who also worked with Spike on Where the Wild Things Are and with Sophia Coppola on a few of her films including the visually rich Marie Antoinette. K.K. and Spike determined the color and design begging with the color red and an intention to present a different type of future that evokes a feeling of both warmth and spareness eloquently woven. They achieve quite successfully at projecting us to a possibility for the future of Los Angeles without grasping at the now very cliched Blade Runner look. One of the things Joan remarked to me as we left the theater was "I bet you never saw LA like that before!" So true, it was familiar with locations and buildings I am very familiar with, yet it felt very different and truly at some undistinguishable point in the future. Given how attached humans have become to their computers and gadgets it might be much sooner than we think. 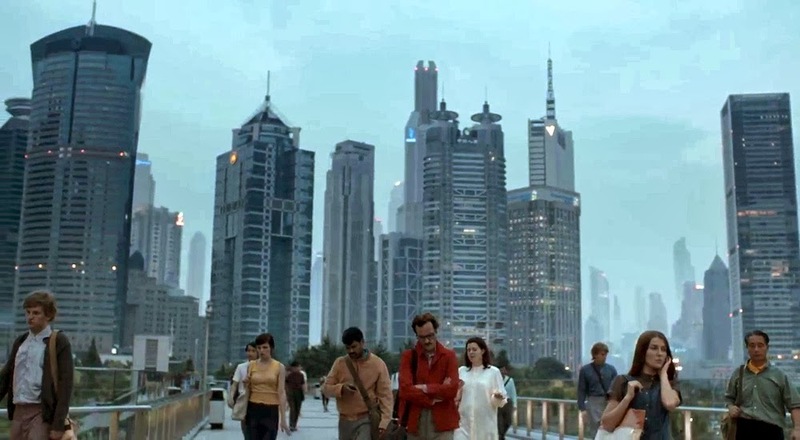 "Her" was shot in both LA and Shanghai, a great pairing to give the City of Angels a slightly more modern look to project the somewhat odd and disconnected future. Later when I was pondering the film I couldn't remember seeing any nature, let alone California native plants or honey bees. 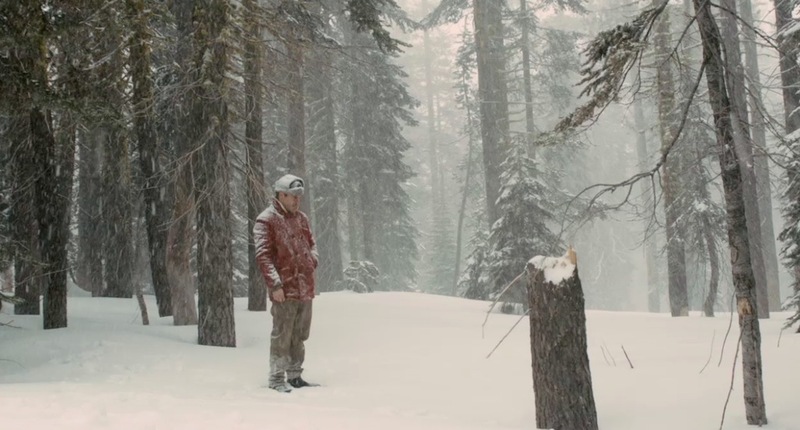 Of course there is nature, its just not something you carry an image away with from the film. It makes perfect sense that in this dystopian\utopian vision nature doesn't quite fit in. Nature is used sporadically in specific scenes that add an underlying visual intelligence personified as winter with conifers and snow, the shoreline covered with human bodies on El Segundo beach or with family life. I am attracted to films that are crafted with beauty, content and leave you thinking. The strong visuals, story telling and residual contemplative aspect of "Her" are amplified by the connection you feel to the plight of the characters. I also loved how Samantha did a bit of Byron Katie questioning on her motivations. A nice added extra for those of us who are interested in personal growth, particularly Katies work, given she is a Los Angeleno. What fragrances would futurians in this uto-dystopic world wear? I'm concerned that it would be synthetics that mimic nature. Let's hope that as we propel ourselves forward that we can do it more consciously than what we currently seem to be doing. I personally don't see technology as something bad, but, I am concerned when it is appreciated more than the authentic natural world.